Madewell's bandana dress retails for $158, available in the black color shown. 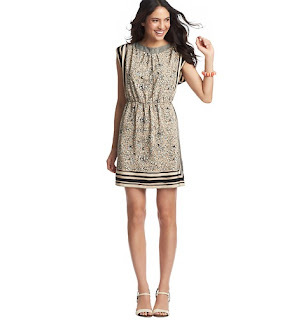 This dress from LOFT will give you an inspired by look for less. This version retails for $79.50 and you can click HERE to view or purchase (only available in tan, but they have a colorful version HERE).